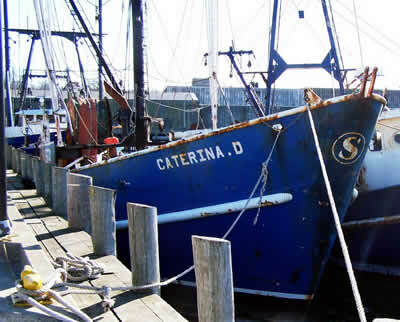 The Axel Carlson Reef located 4.4 nautical miles southeast of Manasquan Inlet in Momouth County is now slated to receive a 70-foot steel-hulled commercial trawling vessel for reefing Tuesday, April 24, 2007. The vessel (picture below "Caterina.D") will soon become a new home for 150 species of fish and marine life, a fishing ground for anglers and underwater attraction for scuba divers. The vessel will continue to serve the fishing industry for at least 50 years. The next addition to the Axel Carlson Reef Site.